An Afghan official says attacks on two police stations in the capital killed five people and wounded another 16. Public Health Ministry spokesman Wahid Majroh said the toll from Wednesday's attacks is expected to rise as fighting is still underway at one of the police stations. The Islamic State group claimed the first attack, which other officials had earlier said killed two police. The two are believed to be among the five dead reported by the Public Health Ministry. The Taliban claimed the second attack in a statement sent to media. An Afghan official says at least two police were killed in a suicide bombing at a police station in the capital. 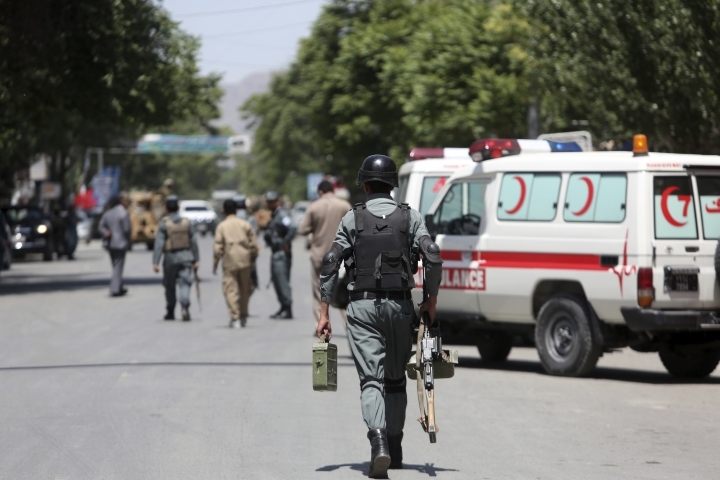 Kabul police chief Gen. Daud Amin says another two policemen were wounded in the attack. 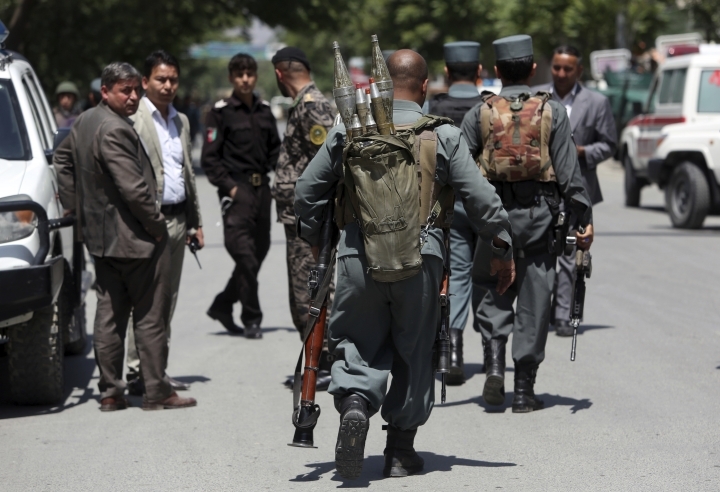 He says a separate attack in central Kabul set off fighting that is still underway. In that attack, he says a suicide bomber struck at the entrance to a police station. He says gunmen occupied a nearby building, from which they were firing at security forces. Afghan officials say at least three suicide bombers have struck two police stations in the capital, Kabul, wounding at least six people. Interior Ministry spokesman Najib Danish says the first suicide bomber struck a station in the western part of the city on Wednesday. He says there was sporadic gunfire after the blast, as a "cleanup operation" is underway. He says another two suicide bombers struck at the entrance of a police station in the city center. Asam, the head of the Kabul ambulance service, who only has one name, says six people have been transferred to hospitals. 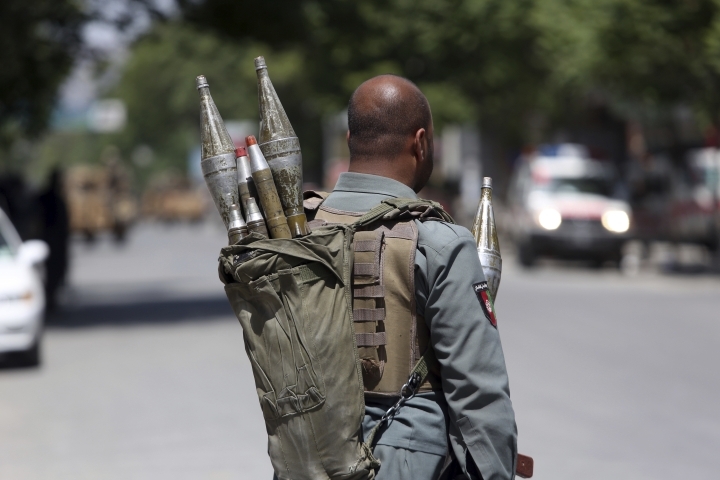 The Taliban and IS frequently target Afghanistan's Western-backed government and security forces. 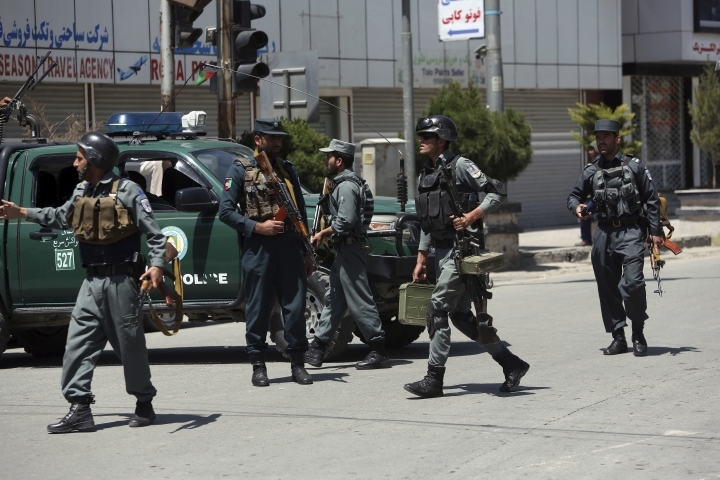 Several loud explosions could be heard in Afghanistan's capital, where the Taliban and an Islamic State affiliate have carried out a series of massive attacks in recent months. 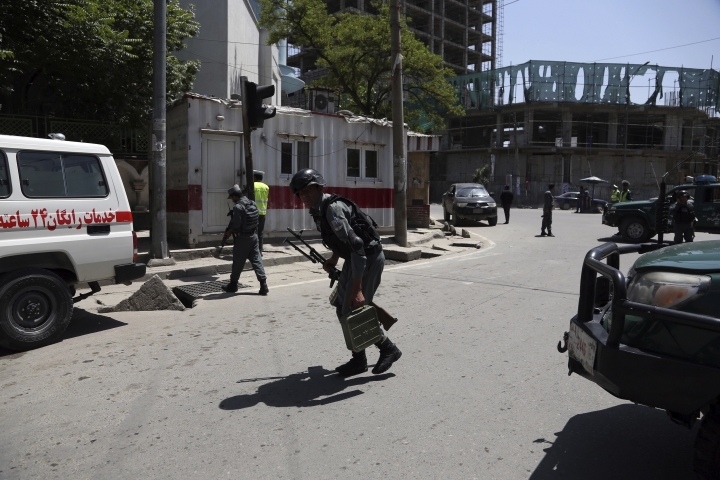 Kabul police spokesman Hashmat Stanekzai confirmed an explosion near one police station on Wednesday and said a gunbattle was underway there. He said another explosion occurred near a different police station. He did not have any immediate word on casualties. Twin suicide bombings claimed by IS last week killed at least 25 people, including nine journalists who had rushed to the scene of the first attack, in the deadliest assault on reporters since the fall of the Taliban in 2001. An Afghan lawmaker says Taliban fighters have captured a second remote district compound in two days. Mohammad Hashim, a member of parliament from the northern Faryab province, says the insurgents early Wednesday seized the compound in Bilchirgh district. Provincial police spokesman Abdul Karim Yuresh says intense fighting is taking place near the compound, adding it's still in government hands. The Taliban have confirmed in a statement they control the district and say they also killed 10 government forces.